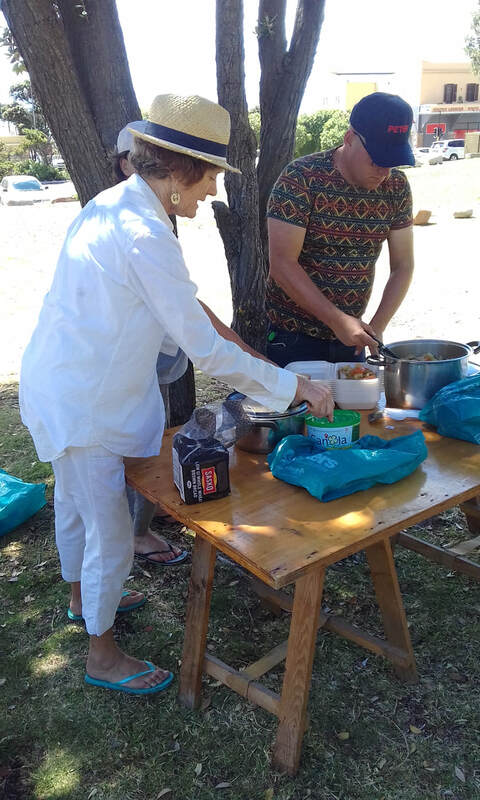 thanks so much to nathan Swart and family friends/peter Van Heusden/Elizabeth Storey/Froula van Zyl/Jennifer rands/wendy purdon /Daisy den /karen Marais for your volunteering on the day /cooking / garment underwear making and Donations too ! 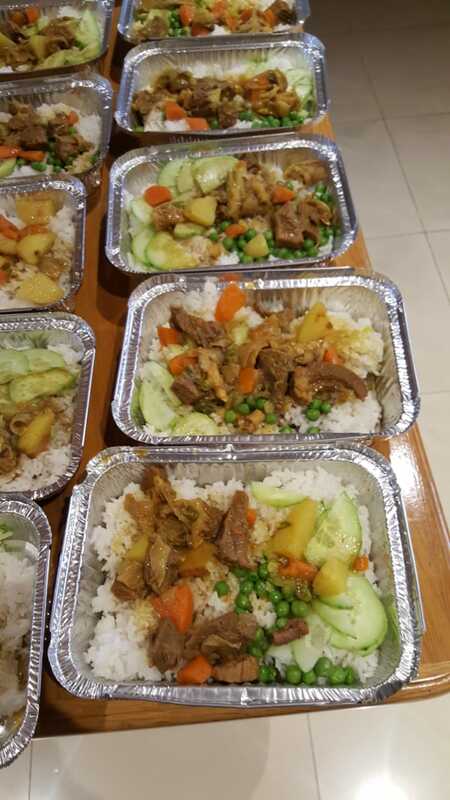 We were reminded again how those with so little have so much gratitude for each meal. Blessed are the humble and we thank you for the opportunity to serve you. 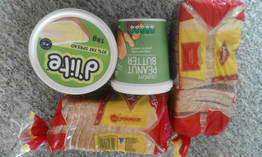 As well as via both food packs Donors Froula Van Zyl Jennifer Rands Wendy Purdon (and her friend Daisy Den who made 15 undergarments ) all in all enabled us ot serve 2 hot meals to each and to a total of R2424 packs were nothing short of amazing and gave 25 people food for several days for change. . Its tough to get your life together looking in bins ( as one of the gentlmen we found doing when we handed his lunch to him which was kinda sad on xmas day) or begging and even toughter on xmas day Karen Marais made an awesome huge cake for christmas day luch for th Haven Kalk bay as well ,,later we tooK food around lakeside fish hoek and kirstenhof too with more food donated by Grace Lin and her husband from Milnerton. We know its a small drop in the oceans of the communities kindness throughout the year so thank you so much to all of you too. In the comments we have thank you message video from one of the lovely people we spent a little time with. New wardrobe for Our friend! thanks to our new anonymous donor! Our first donor from Capricorn ! So appreciate these high quality clothes anyone would be happy to wear. So did Ivan who said he was happy to share his pics. Ivan and I go a long way back now. 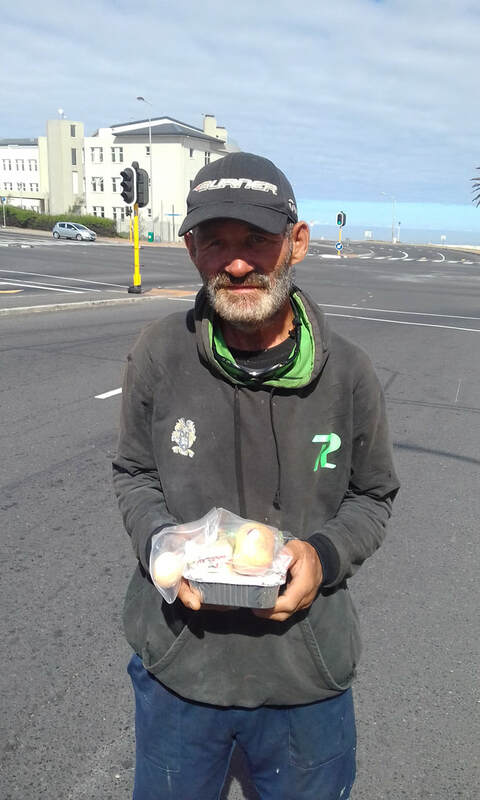 Thanks to our anonymous donor and a previous donor were able to fit Ivan for all t his sizes of 3 pairs of shoes, shorts and a belt, several shirts and a jacket and several jeans all greatta quality. Something amazing when a person arrives with only 1 pair of shoes a few tshirts and i pair jeans ! Ivan is staying on woodstock shelter haven and also finding all sort of amazing support from The church of the Holy Spirit in Kirstenhof (click here) helpng with add jobs spiritual guidance and shelter fees. How generous! the thing is who would NOT want to have the privilege of helping Ivan.? ! One would have to meet him to know why and he is not the only person SO many amazing people waking on diffiucltcult paths on the street and we shojuld never forget each is an u. . One is very moved when ones knows Ivans struggles by his determination and in the end not giving up .Wow ! 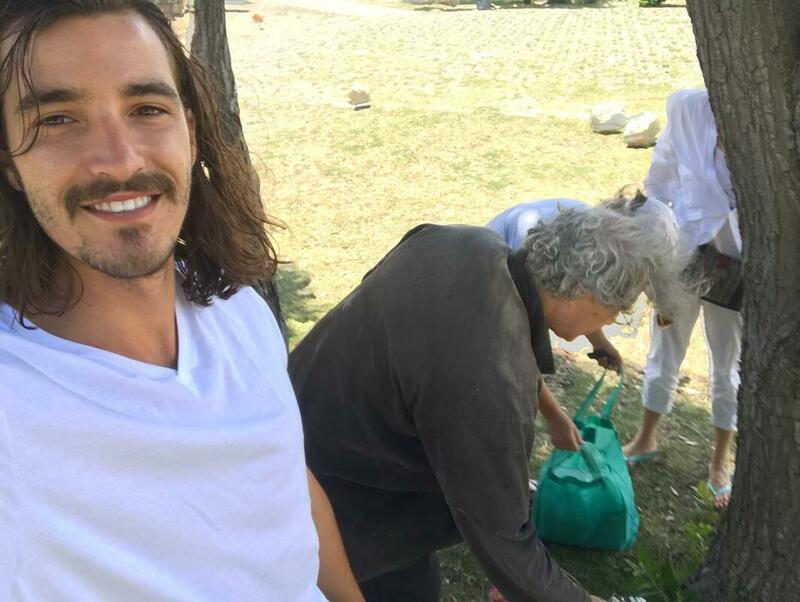 We are all part of human family and all of us involved in Ivans life owe him the debt of man with huge heart and gratitude and humility which all of us can learn from without a shadow of doubt. 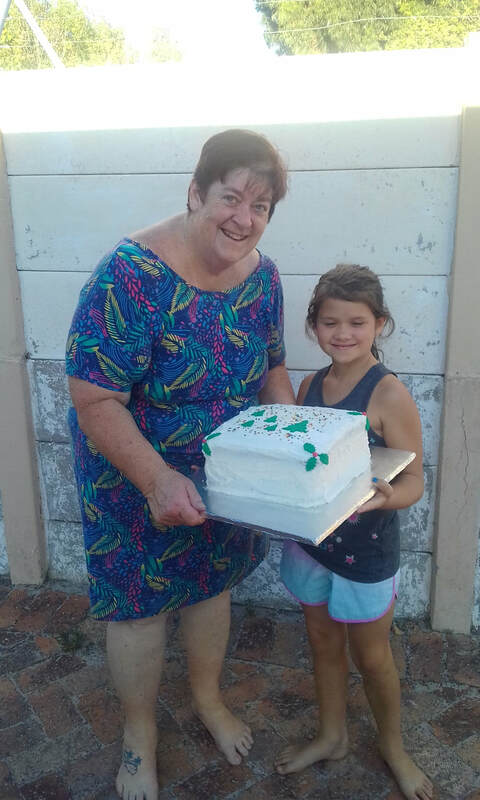 Its very nice to sebe part ynergy between a wonderful church, Our little organisation ( We took ivan to Elim shelter previously ) and now Woodstock Haven Shelter and EPWP . 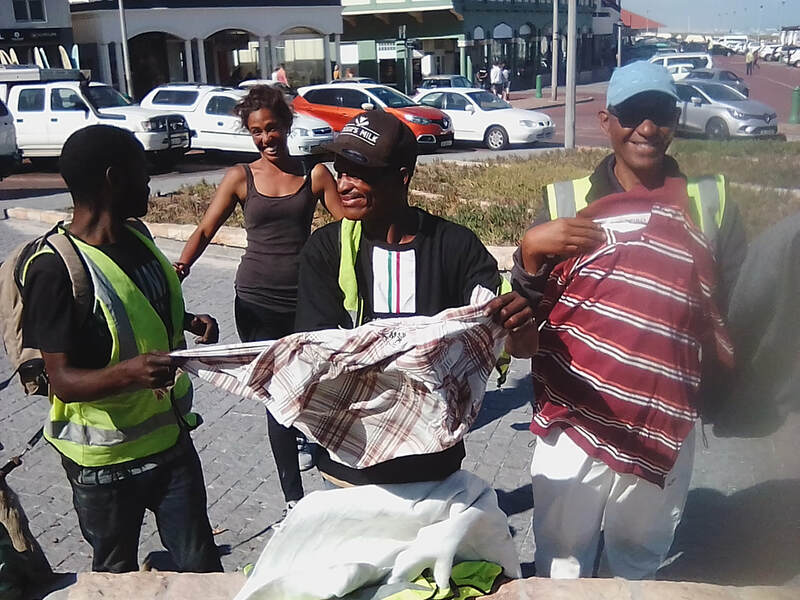 Some of josephs mens clothes collection handed out in muizenburg. Car guards were really grateful as mens clothes are not easy to come by. Some the clothes donated by Joseph Pollock from ottery being sorted by size and type. 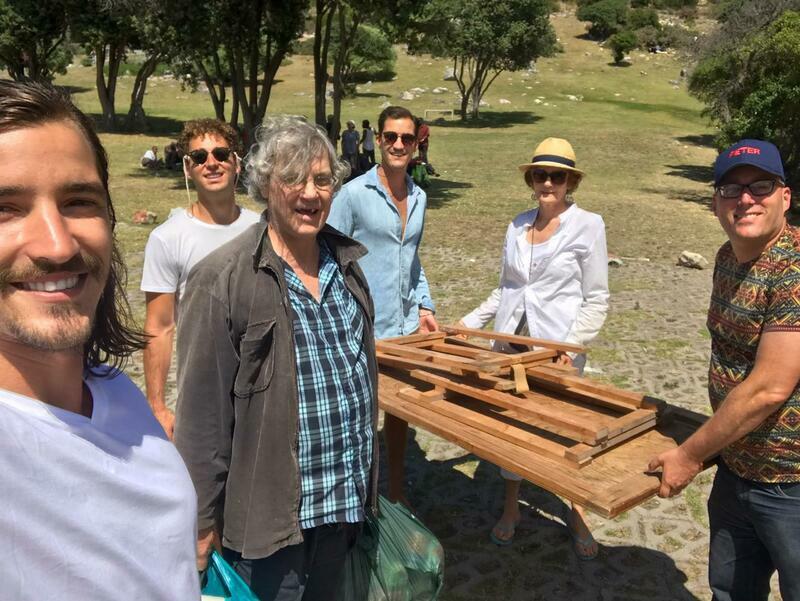 Joseph so kindly entrusted us with his labour of love finding and collecting al these mens clothes. How extrmely kind of Joseph who went to so much trouble finding them fomr various donors and putting them together for us . 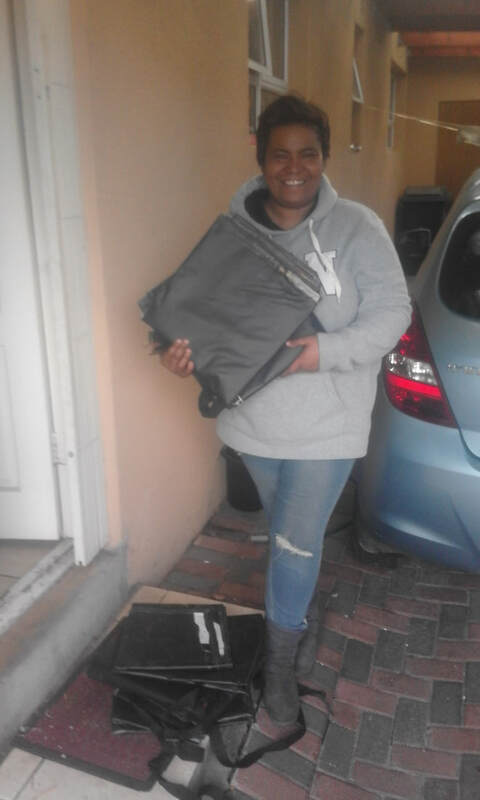 we have donated womens clothes ot Elim shelter before but in certain parts of the peninsual people need then more than others its very clearwe tried ot find those who were in the most desperate need. 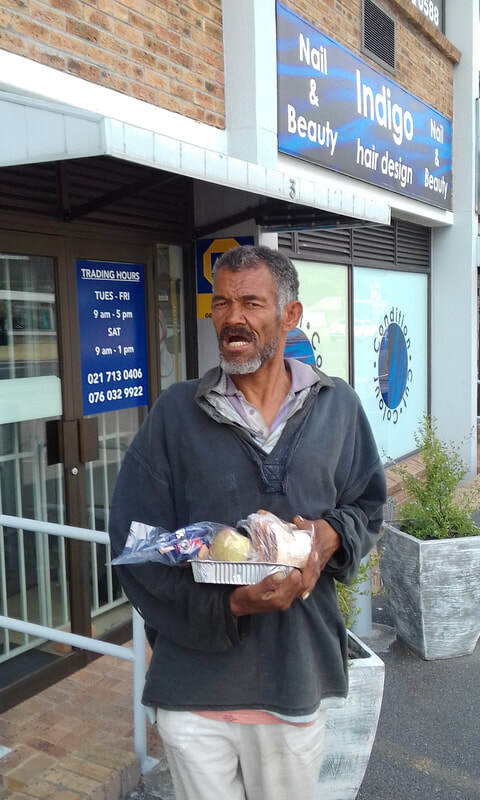 one of the people who was grateful Gerhardus who had been a fish hoek had just had his stolen ..sadly all to common on the street but forutunely he is on his way to shelter . he really appreciated the blue overall and quilted jacket and some shirts. 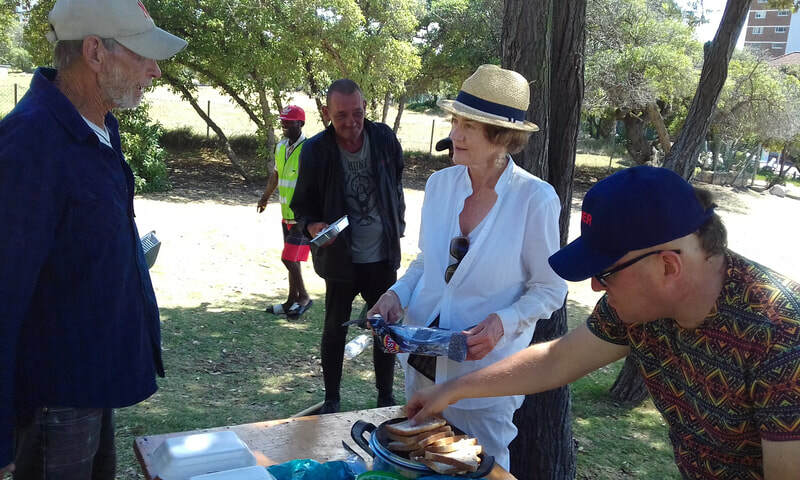 We made small clothes packs of shorts , shoes and a few shirts and distrubuted them in various parts of peninsula to who we could including for a change muizenburg and further north and we still have some including a few jerseys and still have a few more to give out. 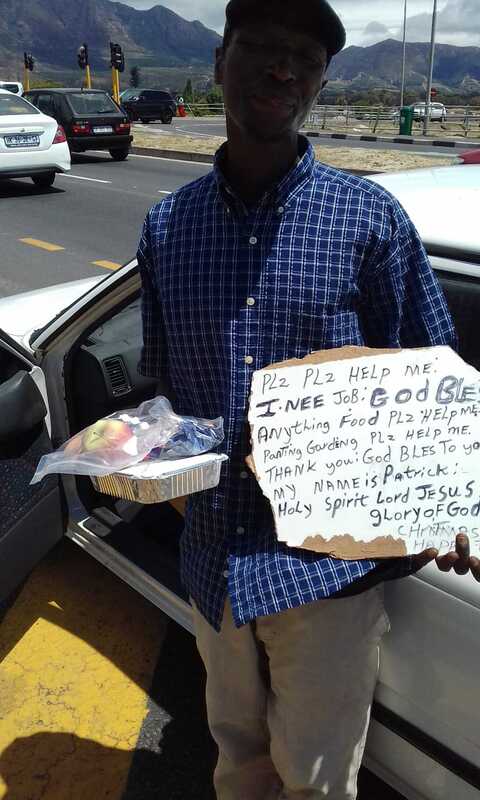 When greeting people on the street its a good idea to look at poeple shoes or the remnants of shoes more than often . For men socks and underwear in summer are as always in very short supply. 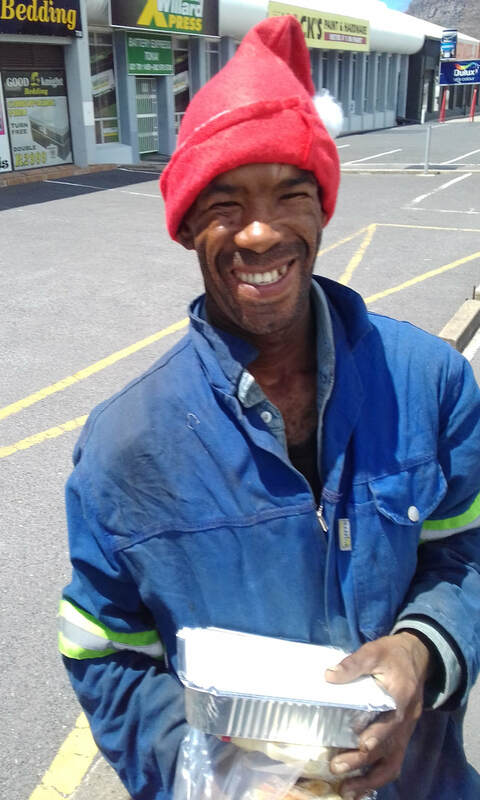 we really appreciate donations however small but thank you Joseph especially for this exceptional effort you made to do this ! Thank you Gillian Van dieman for your amazing commnity spirit deciding to talk to your many work friends and our deepest thanks to them on behalf of peep on street, collecting money and getting this project together and collecting all of the 7 streetsleepers in Heathfield which we distributed in august this year. 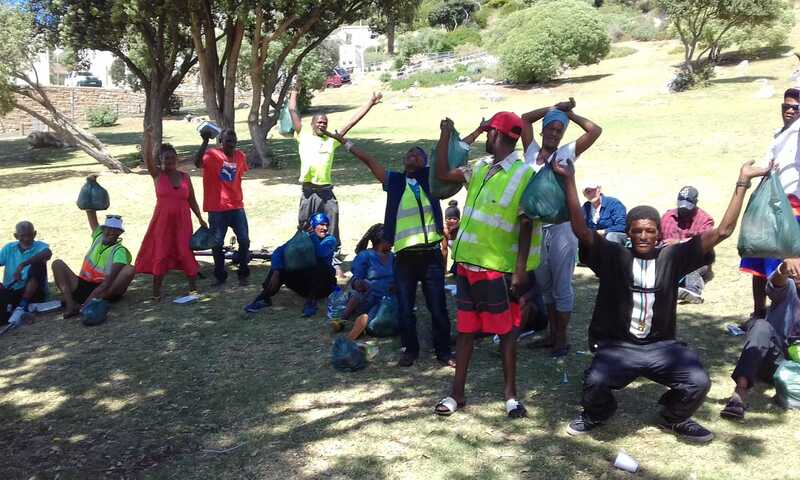 We tried and will continue trying to distribute over the peninsula where those of us volunteering on the street between between Westlake and Fish hoek had built up relationships with people living on the street for purposes of food, some of whom weve been able to connect connecting with shelter (2 went to the winter shelter at Elim through these efforts ) and the social services of social connect for IDs as well. 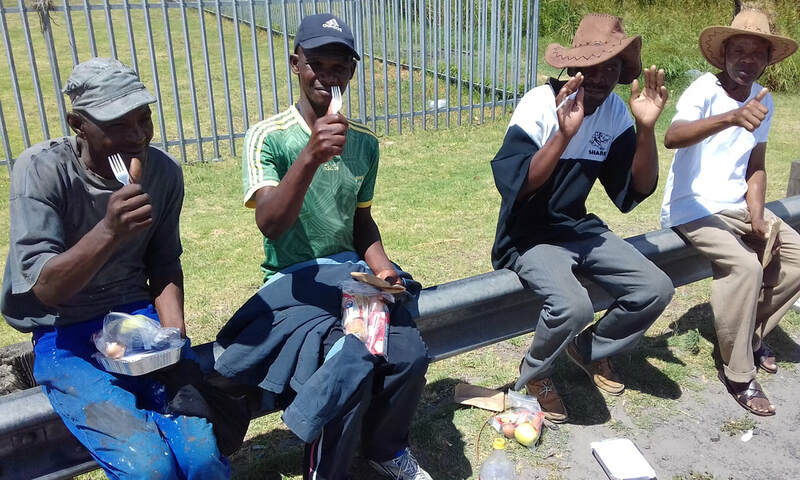 2 of the 7 streetsleepers went to fish hoek folk who had already received a few from Eva van belle before, another 2 to 2 car guards sleeping on the mountain in Muizenburg, and 4 to those between westlake and muizenburg who previously had received little from our group . 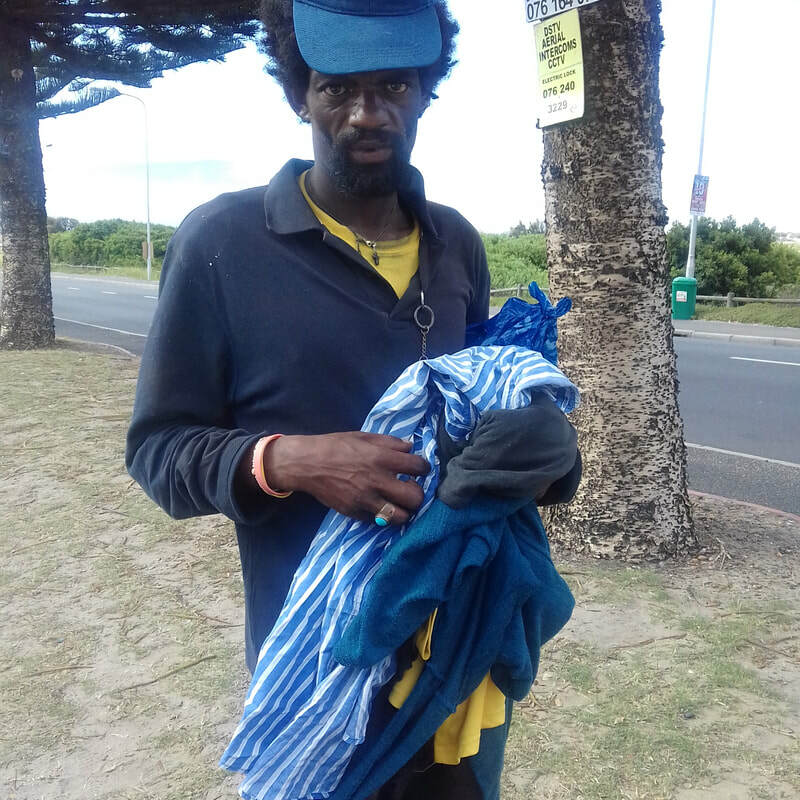 Because sadly there are so many thefts on the street, even sadly of blankets and bags, M told me please to take his back in summer to look after them. 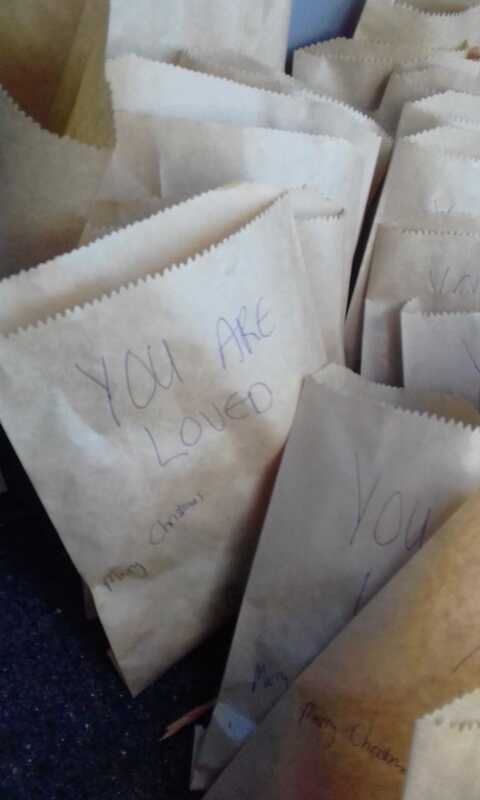 Its important to know that although we can give so little it results in some hope and feeling of empathy that people on street do feel and appreciate it. 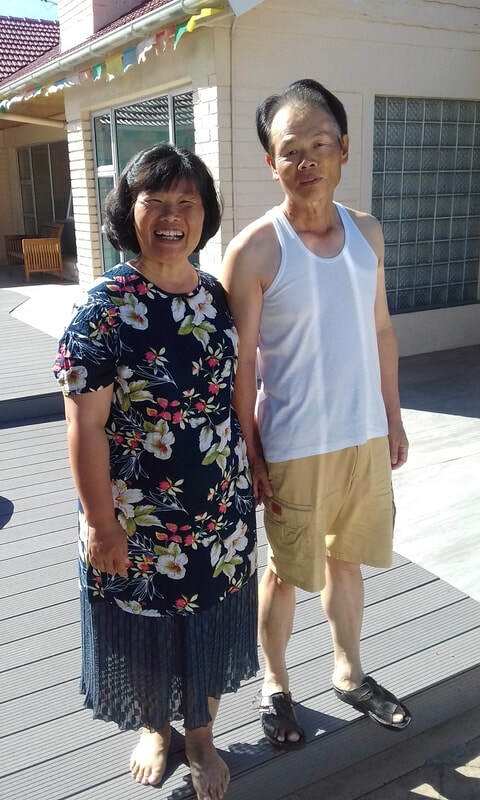 Our group was conceived to highlight awareness of peninsula and slowly we are collaborating with other groups and stretching out,. 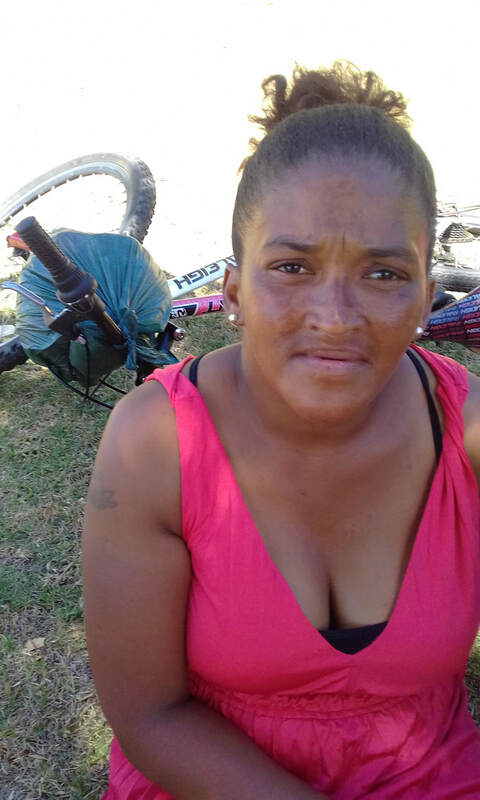 we hope that happens in the future more south in Simonstown if we can find a volunteer or 2 down there, and now that we are aware of Jodie collections up to plumstead hopefully we can find a few more to volunteer with her and little bit north and donate that side too . It is still a very cold wonter and any blankets are more than aprpeciated too. we know that poeple ARE still bvery cold at night sadly. 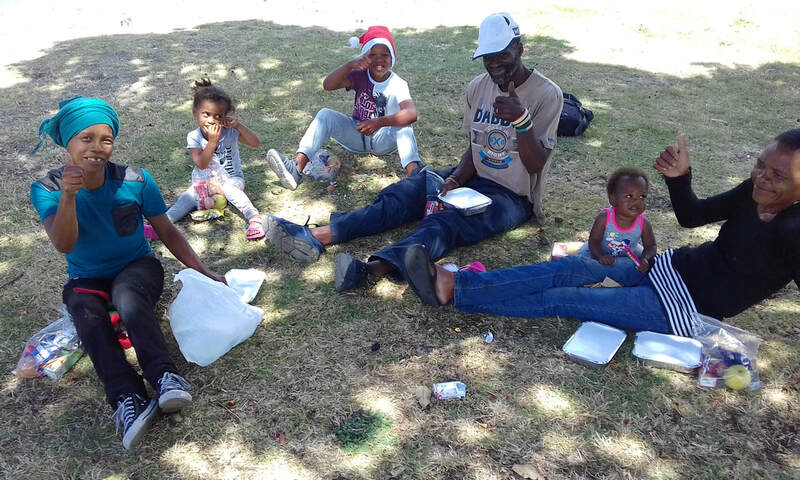 Simply by seeing them.Its is heartbreakbreaking and really should not be neccessary .but hopefully more will become aware and help not only our group but and others too, like church soup kitchens . we hope to bring your more informations from these church soujp kitchens and other soup kitchen initiatives like soup dragons soon too. 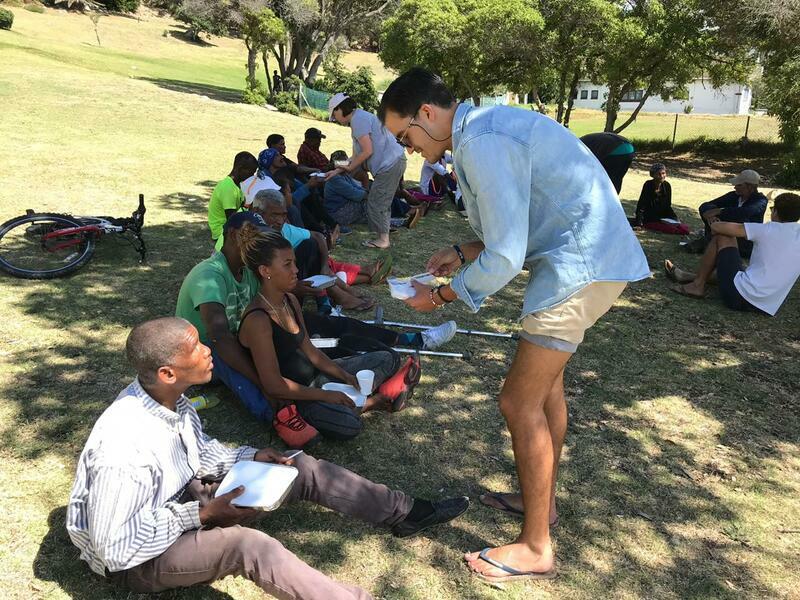 Some soup kitchens do help poeple from all works of life .our grups tries ot focus mainly on homeless people in shellters and on street but both are obviously in great need. 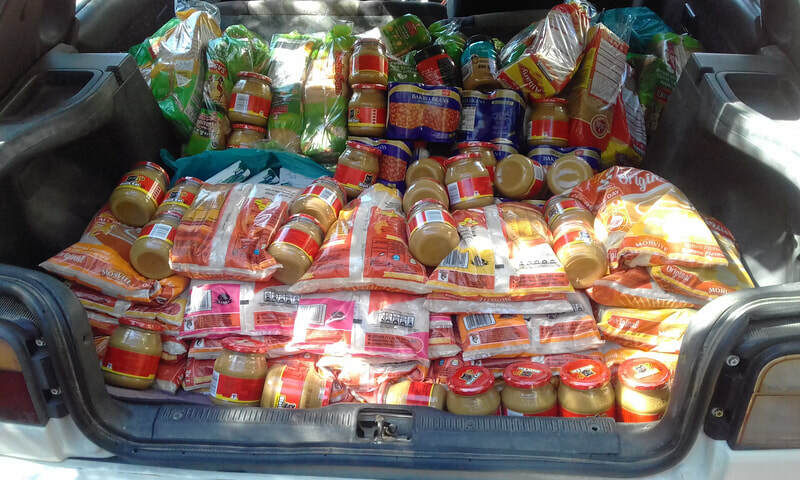 Thanks again Gillian and your generous friends! 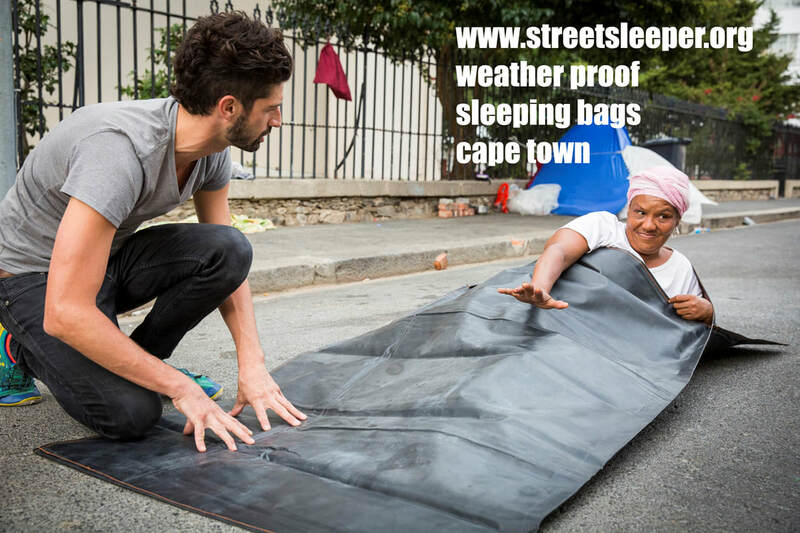 Thank you so much Eva van belle for your generous donation of street sleeper sleeping bags which were handed to the people of Fish Hoek. 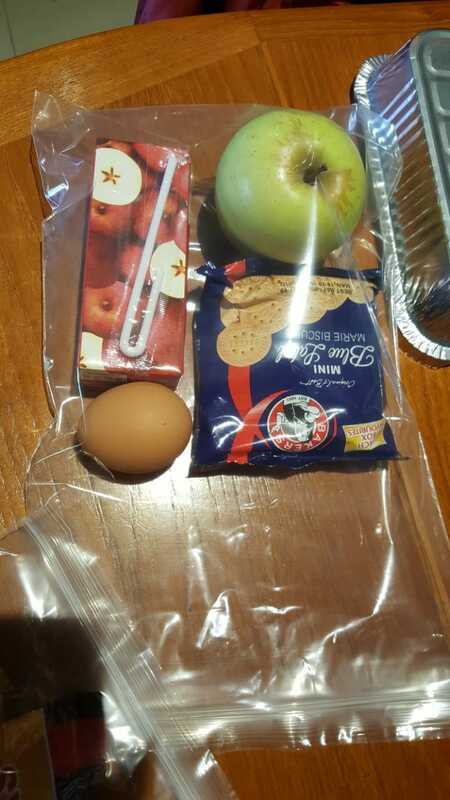 and especially for the comment you made about "you know it wasnt enough"
In fact its one of the generous donations weve received Eva so thank you as these bags are not cheap . 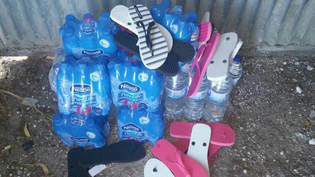 perhaps inspired by one of volunteers Mandie who took off her shoes for a person on the street Daz including 21 sandals in addition to his VERY generous donation of Water, which due to Capetown Cris and Municipal taps switched off are hard to come by for homeless people on the street.